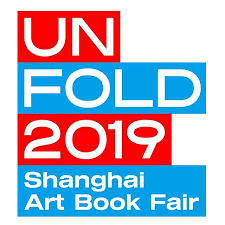 17th - 19th May at the M50 Creative Park, Shanghai. Details to be released soon. Follow us on Instagram @mypaperpigeon for more updates. 26th - 29th July at the COEX Exhibition Hall. 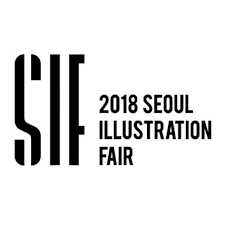 Follow us on Instagram @mypaperpigeon for the latest updates and stories and IGTV on the 2018 Seoul Illustration Fair! Come say hi at our booth #i60! Take a walk into a garden of colours with a contrasting mix of my favourite shades - prussian blue & payne's grey. In her very first solo show in Tokyo, she expresses herself with colourful botanic with her favourite colour shade - prussian blue & payne's grey. Take a closer look and you'll realise that she's painting her emotions in a chronological timeline. See you there! Together with a group of talented artists, 5 latest art pieces are on display and available for purchase at Clouds + Art Coffee, in Koenji, Tokyo. Show ends on 7th January 2018. An Anatomy of Singapore's Hawker Fare zine set, and Hungry Melbourne, featured in the reads column in September 2017 issue of Monocle Magazine. Zines and maps will be on displayed in this annual art book event on Oct 13 - 15, held in Taipei City. 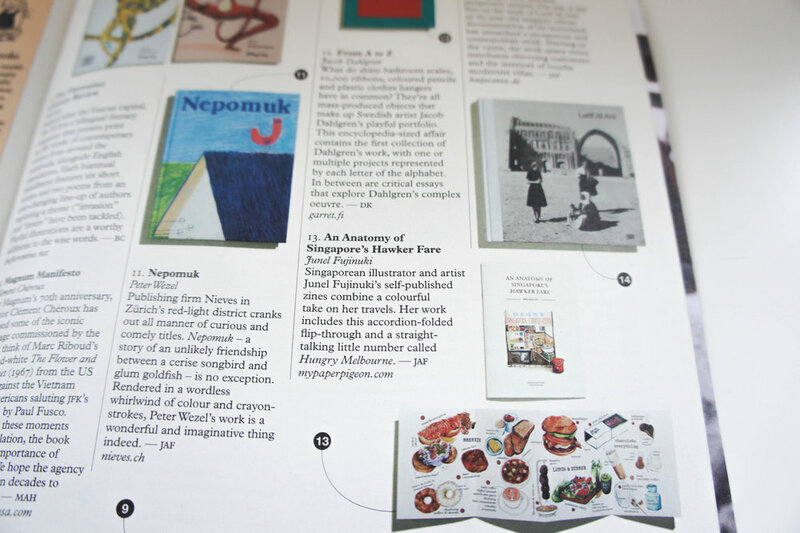 An annual book fair specialising in contemporary art books & zines of Singapore and beyond. “Blossom Blast” is an exhibition that celebrates femininity and showcases the amazing talent pool of ambitious female artists in Japan. In tandem with International Women’s Day (IWD) celebrated globally on March 8, TokyoDex and UltraSuperNew have invited curator Miki Saito to gather a group of artists who explore the concept of this year’s show, “What It Means To Be A Woman” today. A little fantasy and adventure to top off your dessert. Pigeon had a recent show together with Non Entree Desserts Cafe at Rangoon Road, Singapore. We had huge illustrated artworks, pop-up hand-drawn little doodling, and a glass window mural of a dessert campfire! An interactive and fun radio and live feeds that features creatives living in Tokyo, inviting them to talk on what they do, how they did it, and little snippets of their creative journey with DJ MYU. Japanese Television art segment celebrating the different genres of design in art and in our daily lives.